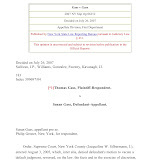 In a complaint filed August 28, 2007 with New York State Chief Administrative Judge Ann T. Pfau, the niece of beloved Ice Cream magnate Tom Carvel says Westchester County Surrogate Court Judge Anthony A. Scarpino, Jr., appears to be actively involved in the long-standing pattern of criminal activity against Thomas and Agnes Carvel, their estates and their charities. 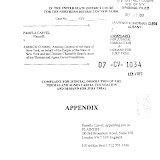 The "incestuous influence," says Pamela Carvel, includes the recently discovered findings that Judge Scarpino had serious conflicts involving his own personal bank "loans" worth $300,000.00-- "loans" from the sole adverse litigant to Carvel family members, the bank that wrestled control of all the Carvel millions. 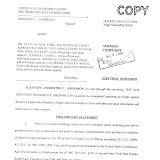 Included in the complaint is her discovery on May 8, 2007, that, she says, shows attorney William E. Griffin fraudulently transferred a Carvel estate located in Ardsley, New York worth $10 million to the company of Griffin's law partner's brother for just 2 million. William Griffin-- the alleged president of the Thomas and Agnes Carvel Foundation, and Chairman and major stock controller of the Hudson Valley Bank—is currently the subject of an investigation by the office of New York's Attorney General Andrew Cuomo. 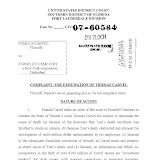 See portions of the "Scarpino Complaint to Judge Pfau" to the right…..more to come on this story….. 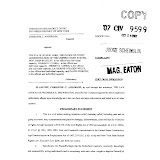 Approximately 9 weeks later, in a July 15, 1998 dated formal answer to the charges against him, attorney Fagan's lawyer submitted a 6-page denial of the various charges made by Mrs. Weisshaus. 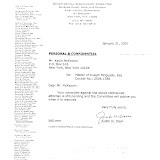 Astonishingly, attorney Fagan's lawyer, who he had recently engaged, was none other than Hal R. Lieberman who, in a 9-week period of time, had left his position as Chief Counsel of the New York Supreme Court, Appellate Division, First Department Disciplinary Committee to join the law firm Beldock Levin & Hoffman, LLP. To the right, see the documents marked "Weisshaus Fagan Lieberman"
The operative, and who would only allow himself to be publicly referred to as "Mr. Blue," says the nickname "his people" had for this type of set-up was "the phantom phone call." Mr. Blue says that like most people set-up this way, Roger Stone wouldn't have seen it coming. "Stone didn't know what hit him, and he'll be numb for a while. Then he'll go a little crazy"
Like any good phone call, preparation is important, says Mr. Blue. "You first collect various tape recordings of your "target's" voice—in this case Roger Stone's. "Then you piece together the various recordings into a 'statement' or 'threat' so that it will appear to have been verbalized by your target—and you insert loud background noise, if needed." "In Roger Stone's case, he's been yapping to anyone who would listen to him about the Spitzers, so he's a very easy target to quickly collect a large quantity of recordings from which to use—overheard in a restaurant, in an 'interview' with a writer-- the possibilities are endless with a babbler like Stone." "Now you have to make it look good— so you just create the evidence,"says Blue. "You make it look like your target actually placed the phone call from a phone line that would normally be associated with the target, like his home or office. Then from your target's phone line, you telephone the person who is to get the message or threat, and you play the 'previously-pieced-together-recording' over the phone." Mr. Blue says that in the U.S., most operatives don't want to break into offices and homes, especially since people might be there and considering the advancements of monitoring and security systems. "Oh, and it's against the law," he finally adds. So, pretending to be a telephone repairman, they can easily gain access to an office or apartment building's "telephone room" through which every telephone line must pass. "Clip into the specific phone line you need with your 'telephone lineman's phone' and then place your 'phantom' phone call. It's that simple." In Stone's case, Blue "speculates," they waited until he went out and then proceeded with their plan. Once, Blue says, he gained access to a Manhattan building by heading off, and replacing himself for, a food delivery person. "I grabbed the kid outside the building and told him that I'd been waiting for him. I paid for the food, and tipped him ten bucks. After the doorman helped me get the food to the real recipient's apartment by confirming their expected delivery and letting me up, I was free in the building to do my thing on another floor in a hallway 'service closet'." Blue was annoyed, however, because his own tip was just half ($5) of what he had given the real delivery person out on the sidewalk. And to make every homeowner sleep easier at night, Mr. Blue says access to telephone lines in the suburbs is even easier. "At midnight, clip into the phone line, which usually runs down the exterior wall of most houses; or simply climb the telephone pole down the block during the day…"
And to make it look really good, Blue says non-chalantly, just get the cops or district attorney's office to confirm with the telephone company what you already know-- that the threatening call was made from your target's telephone line. "And the icing on the cake—or in Stone's case, another nail—is to bring in a well-known investigator to confirm the findings." Blue says he laughed when he heard that Kroll Associates was brought in to "confirm the obvious." "It was arranged for them (Kroll) to find what had been left for them to find and, of course, to pass that confirmation along to the authorities." "And at some point Roger Stone will question his own sanity," laughs Blue. "Stone will confirm that it's his voice on the tape; 'yes' the phone company says the call was placed from his telephone number; 'yes' he may have been home that day. But one question Stone won't be able to answer is: 'if not by you, how else and by who did this happen?' And once Stone wakes up and fully realizes that he was set-up, he'll shout 'conspiracy!' And that's exactly what they want him to say, so he'll really, really look guilty." Mr. Blue says that the real truth will come out, or simple fade away, once voice spectrographs (voice finger-print-type technology) and other tests are conducted on the actually answering machine recording. "The evidence will show that a 'cut and piece' job was done on Stone, and that it was "the phantom" who was calling, not him. It only 'sounded' like Roger Stone. But the damage has already been done, and by the time Roger Stone is fully vindicated, no one will really care— but the mission accomplished." Mr. Blue says that nowadays the "phantom" call only works with 'harassing' type calls—hang-ups, heavy-breathing or direct, non-recorded messages. "Advancements in audio forensics technology has changed that aspect of the game," he says. And it's the use of the now-outdated (by spectrograph technology) "phantom recording by Roger Stone" that leads Mr. Blue to conclude that the person behind this latest troopergate headline is an "old-timer" who "worked for the federal government in the 1970's." Mr. Blue believes that the "phantom call" was more of a "message for people to shut up." "What bothers me most is that they dragged a really nice guy—Bernie Spitzer—into this mess. That was unnecessary. But they succeeded in sending the message that if certain people don't zip their mouth, things are going to get really ugly in the troopergate debacle." Mr. Blue describes himself as "fully retired," not saying exactly from what, and also as someone who once enjoyed climbing. 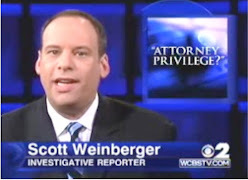 It was recently reported on this forum that the Manhattan based legal powerhouse Paul Weiss had engaged the small White Plains, New York firm McCarthy Fingar to handle proceedings in the Estate of Brooke Astor in the Westchester County Surrogate's Court. The lone Westchester Surrogate, Anthony A. 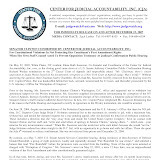 Scarpino,Jr., does not, however, explain why it took so long--nearly five years--for him to address the issue of any lawyer advertising over the internet, or on their law firm website, the implied inside connections with the Scarpino court that would further suggest favored treatment by the court. 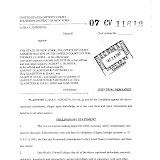 The August 3, 2005 transcript makes clear that Surrogate Scarpino acknowledged that he knew his personal and political friend had been advertising their close association on his law firm website and on the internet. And in one of the advertising sections, it mentions that attorney Frank Streng was on Judge Scarpino's election transition committee from "2001-present", suggesting that the inside connection to the court was an on-going event. 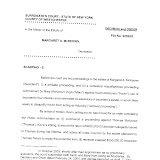 And though he mentions it, Judge Scarpino failed to correct, or take any other required action, concerning the fact that financial sanctions had been twice granted by him (the judge) to the advertising friend of the court, Mr. Streng and his firm McCarthy Fingar-- financial sanctions simultaneously with the "closeness to the court" advertising. 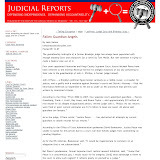 Such advertisements, which strongly imply favoritism and partiality by any court, are strongly frowned upon by the Commission on Judicial Conduct and the Attorney Disciplinary Committees. 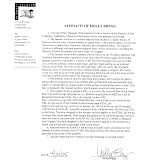 Most observers, though, are alarmed that it took Judge Scarpino over 5 years from his being elected Surrogate in 2000 to even address the troubling issue with his close associate Frank Streng who was, at all times relevant, the person at the McCarthy Fingar law firm in charge of the content on the firm website. 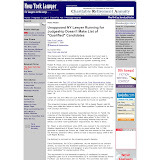 Attorney Frank W. Streng and the law firm McCarthy Fingar continue to regularly appear before Westchester County Surrogate Anthony A. Scarpino, Jr., and have done so, quite successfully, at all times since the Surrogate election in 2000. 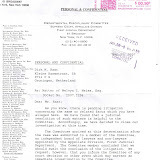 End Note: In that same estate, attorney Frank Streng and McCarthy Fingar have been accused of filing a fraudulent "assignment" designed to prevent any claim to recover approximately $100,000.00 stolen from the Red Cross in 9/11 donation monies. 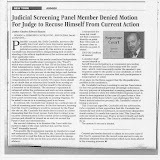 Surrogate Scarpino denied any of the relief sought against Mr. Streng and McCarthy Fingar, without prejudice. 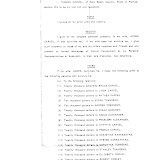 But in the same "without prejudice" order, Surrogate Scarpino, sua sponte ("on his own") ordered a prohibition of any motions- thus, barring anyone from filing any motions. 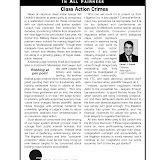 Oddly, McCarthy Fingar advised all parties in November of 2003 that they had filed the "assignment" papers, but only in July of 2007 was the newly-installed Surrogate's Chief Court Clerk, Charles T. Scott, Esq., able to correct the three and one-half year "administrative oversight." 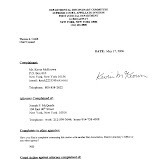 And, according to Chief Clerk Scott, when his office finally filed and entered the 2003 dated "assignment" documents in July 2007, they backdated the entry date to show November of 2003. 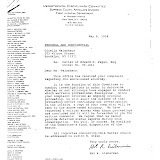 Brooke Astor isn't even buried yet but, according to informed sources, the prestigious Manhattan law firm, Paul Weiss Rifkind Wharton & Garrison, has pulled in a small White Plains law firm, McCarthy Fingar, for proceedings in the Westchester County Surrogate's Court before the Hon. 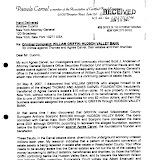 Anthony A. Scarpino, Jr.
Court records show that Justice Scarpino just last year held a five month trial in the Harry Winston Trust matter that involved Banker's Trust Company as fiduciary. Apparently, Judge Scarpino inquired at the onset of the trial if anyone had a problem with him sitting as the judge since he had been employed by Banker's Trust Company. Sources reveal that his decision at the close of the trial was totally in favor of his former employer. 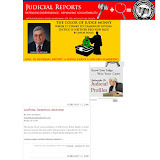 Legal sources indicate that judges are required to reveal any possible conflict at the first opportunity, which would have been over 4 years earlier, well before the trial, and after his taking judicial office in January of 2001. 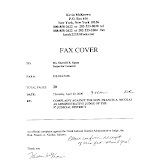 The small McCarthy Fingar law firm may also be familiar to readers of the June 14, 2007 article on the cancer patient who was denied funds for her care by the Bank of New York and Surrogate Scarpino. That article is reprinted here. (As of August 16, 2007, there were 218 comments ! 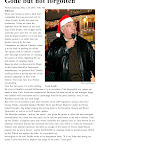 !- to see the comments, click on the June 14, 2007 story, half-way down the page below. Adrienne Marsh Lefkowitz found out she had cancer last May. And most people know that stress is not good for cancer patients. 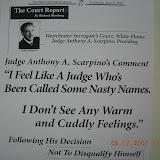 But perhaps someone needs to tell that to Westchester County Surrogate Judge Anthony A. Scarpino and The Bank of New York who together tried to crush the Bank's cancer-victim opponent. 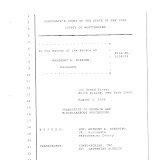 Though Lefkowitz provided evidence from her doctor concerning the cancer diagnosis, and her own affidavit seeking an "expedited resolution" to her request for the release of the undistributed funds withheld from her for years, the judge denied her request in a September 28, 2006 ruling. One attorney who reviewed the public file said, "It's quite clear that Ms. Lefkowitz presented evidence to the court concerning her cancer diagnosis, and her urgent need for special care and treatment. I can't understand or explain why the request was denied, and without the court even commenting on her need for monies for immediate cancer treatment." 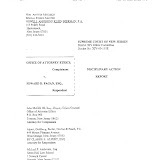 A review of the filed documents reveal that while rejecting the original grounds asserted by the bank-executor for withholding Lefkowitz's distributions, the judge refused to release the funds to Lefkowitz because of the bank's new argument of anticipated future litigation expenses, and a potential estate insolvency. The Bank of New York concealed from the court that it has refused to pay any more legal bills since January 2004. 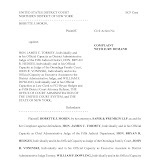 Instead, the court has left The Bank of New York in place as the fiduciary of Lefkowitz's mother's estate, with the clear message that Lefkowitz would get no money for cancer treatment or care, or anything else, because of her plans to finally hold the bank accountable for its failings over the past 17 years, which include their dereliction in securing the Marsh family furnishings, art and jewelry. 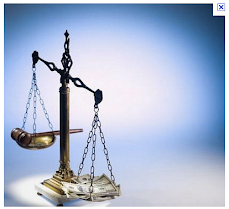 Lefkowitz is also opposing the huge attorney bills to the estate from McCarthy Fingar LLP. 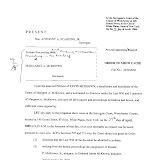 (The reader may recognize the McCarthy Fingar law firm from other stories on this forum, including the Thomas and Agnes Carvel estates) (click "JUDGE TO CANCER PATIENT..." icon on right to view the Court Decision and Lefkowitz's Affidavit). 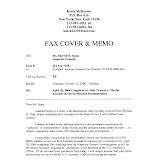 The FBI has been investigating why over $300,000 of Lefkowitz's daughter's trust funds had been wrongfully retained in trust by the Bank of New York over 2 years after the termination date as set forth in the Marsh wills. 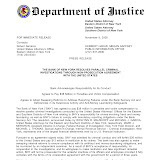 The FBI probe follows the 2005 non-prosecution agreement where the Bank of New York agreed not to commit any more crimes, as reported in The New York Times on November 9, 2005. 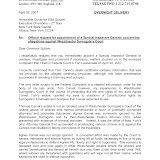 The bank's non-prosecution agreement with the U.S. 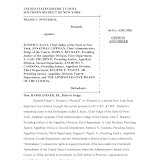 Attorneys' Eastern and Southern Districts of New York involved criminal activities which implicated the bank's corporate counsel's office and high-level Bank of New York executives. Ms. Lefkowitz repeatedly declined to comment on this story. The husband is reported to be politically active and a former president of a Manhattan Democratic Club. 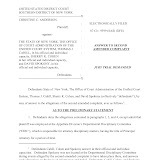 The Appellate Division ruling comes after troubling allegations were made, in May of 2007, concerning backroom deals and certain improper workings within two of New York State's Court Judicial District administrative offices— Westchester and New York counties, where the district administrators are Judge Nicholai and Judge Silbermann, respectively. 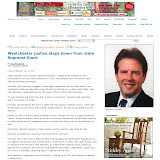 The Westchester Guardian newspaper had reported that a criminal investigation had been called for involving alleged improper actions by Westchester County Surrogate Judge Anthony A. Scarpino and New York City Administrative Judge Jacqueline W. Silbermann. 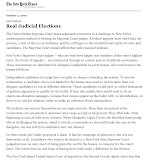 On August 13, 2007, The New York Law Journal reported that 9th Judicial District Administrative Judge Francis Nicolai, and who is only an elected County Court judge overseeing the District's higher level Supreme Court justices, would be running for one of the two open Supreme Court slots in the upcoming election. Not surprising, insiders say, County Judge Nicolai has been seeking a cross-endorsement in that election. 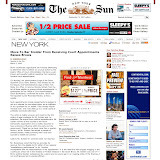 The complete August 12, 2007 New York Post article follows below, and the actual decision from the Appellate Division, First Department, is posted to the right as "Silbermann - Gass v Gass"
August 12, 2007 -- She lost her son, her home and her job - but a Manhattan woman has fought and finally won an appeal to overturn the uncontested divorce that gave her politically connected husband everything. After a three-year battle, Susan Gass, 50, won a ruling last month in which the appeals court blasted deputy chief matrimonial judge Jacqueline Silbermann for giving the husband everything without the wife even knowing she was being sued for divorce. Gass, who was repeatedly told she couldn't fight the 2004 divorce, claims politics drove the judges' rulings. Her husband, Thomas Gass, is the former president of the Village Reform Democratic Club in Manhattan. In its decision, the appeals court said Silbermann "abused her discretion" when she ignored Gass' repeated attempts to fight the divorce, which awarded child custody and the house to her husband. 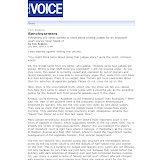 "There was a complete lack of due diligence on the part of all the judges," Gass told The Post. Susan Gass said her husband filed for an "uncontested divorce" without ever serving her; he has claimed he did. Thomas Gass would not comment on the ruling. 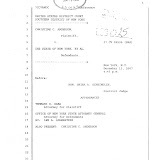 Susan Gass refused to give up, even after Silbermann granted the terms of the divorce in 2005. "I couldn't go to my grave letting them do this to me and get away with it," she said. Now, she plans to head back to court and divorce her husband again. Your key supporters are women. Your key supporters in New York State have been women. Yet, you have done nothing to help the victims of the New York probate and family courts—those victims are largely women. We have no one to turn to, The U.S. Attorney for the Southern District of New York, Mr. Garcia, is a former clerk to Chief Judge Kaye. 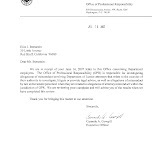 In fact, the investigation into judicial corruption that had gone on prior to Mr. Garcia's arrival, as reported in the New York Post, terminated after he arrived. 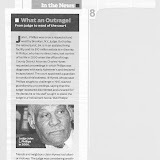 As to New York County District Attorney Morgenthau, he has kept his hands off judicial corruption. You, as a United States Senator from New York, can ask the U.S. Senate to open hearings into this travesty of justice, and/or ask the Department of Justice to appoint an independent prosecutor to handle judicial corruption in the Southern District of New York. To continue to do nothing would indicate that you do not merit the support of the women voters. --OCA chief of employee relations, Lauren DeSole is the "niece" of her predecessor, Andrea Lurie. 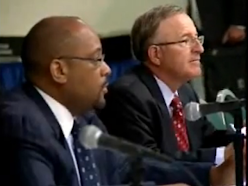 --DeSole's boyfriend, former Supreme Court officers assoc. 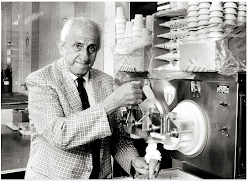 VP John Agnetti, was …appointed to an administrative job with OCA a few years ago after losing a union election. --Nassau County chief court officer, Jim DiNapoli is the brother of State comptroller Tom DiNapoli. 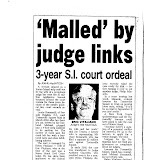 --Staten Island Family Court chief clerk William Quirk is the brother of Dennis "King of the Courts" Quirk. Dennis Quirk's daughter also has a … job in NYC family court. 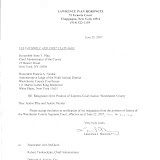 --9th JD court officer boss Bob Kane married into the family of court of appeals justice Joseph Bellacossa. 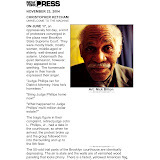 --Captain Alvin Benson of the 9th JD is the nephew of a Supreme Court judge in NYC. --9th JD boss in waiting, Danny …Leddy is the little brother of former chief court officer Tom Leddy. --Court officer Major Jeanette Jordan is married to OCA attorney Mark Jordan. 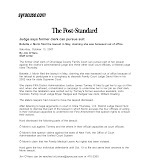 --Bronx court officer boss J.Mark Bodde is the nephew of former Supreme Court judge Tom Galligan. 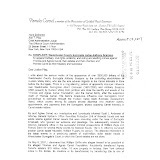 --Galligan has two other nephews named Kelly who have … jobs in the Appellate Division. --NYC Family Court boss Tim Shanahan is the nephew of judge Keating, who is retired and in charge of the state judicial institute. 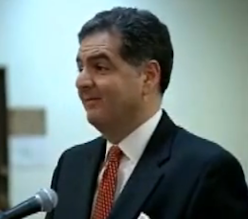 --OCA deputy inspector general Greg Salerno is the son of Bronx judge George Salerno. 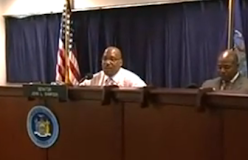 --IG investigator Bob Piazza is the son in law of former NYC criminal court chief clerk Arthur Reilly. 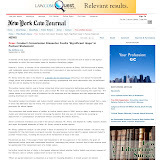 --…don't know who Bronx Supreme Court chief clerk Steve Clark is related to…? 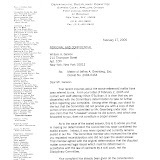 --…Lippman's wife… also receiving a state paycheck… in 2000, the Association of Justices criticized Jonathan Lippman for trying to curtail political patronage in court system. 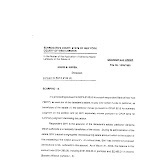 Lippman wanted state judges to approve the hiring of lawyers, real estate managers and other professionals by receivers to help ensure that receivers' hiring practices are based on merit, not on political favoritism or NEPOTISM-- yet, that's what Lippman proposed... Think there's a DOUBLE STANDARD here?!? 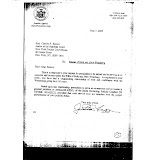 ---Question?….…Answer: Queens Civil Court Judge Anna Culley's husband, Kevin Culley, is a staff attorney at the Departmental Disciplinary Committee at 61 Broadway. --legal question for all you lawyers out there …Is it nepotism if you get a job for your home's cleaning women's husband? 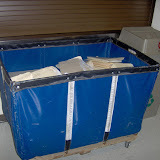 I won't mention that the "boss" is a state employee who works at the appellate division 1st Dept. Can anyone say: "out of control?"